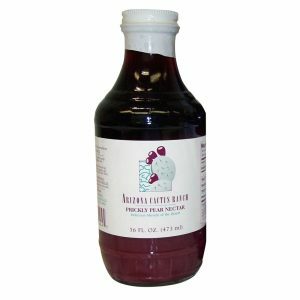 Arizona Cactus Ranch | 100% Pure, Concentrated, Natural Prickly Pear Juice and Pulp | No Fillers, Water, or Sugar Added! Experience the power of The Prickly Pear! 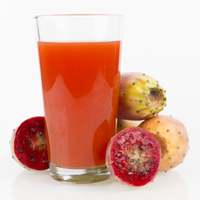 Our products are 100% pure, concentrated, natural prickly pear pulp and juice. 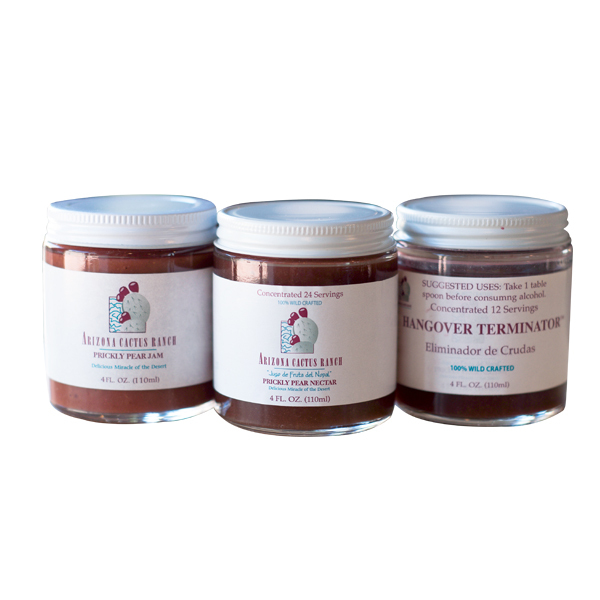 We NEVER add sugar, water, or preservatives. 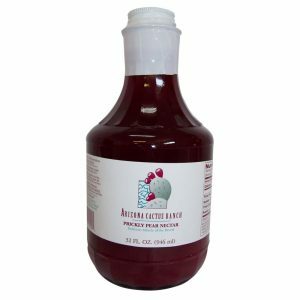 Prickly Pear Nectar is an excellent source of dietary fiber, potassium, vitamin C, B-family vitamins, calcium, magnesium, copper, taurine, flavonoids, polyphenols, and betalains. These nutrients and minerals balance your electrolytes, keep your heart safe, and provide you with the energy to take on your busy day. 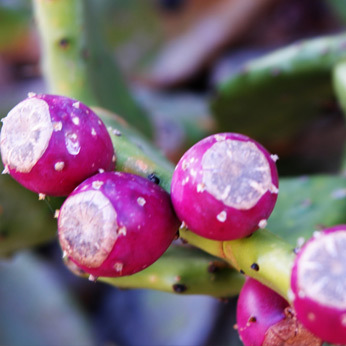 Learn all about this magical fruit as well as a history of Arizona Cactus Ranch owner, Natalie McGee. 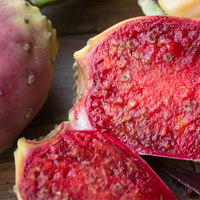 The Prickly Pear has long been known for it’s powerful health benefits. See how this fruit can benefit you. Check out our list of delicious recipes that will utilize the wonderful flavors of this fruit. It is so exciting to take a great tasting product that is highly beneficial to my health. Prickly Pear keeps my blood pressure balanced. The malic acid and magnesium content help keep my fibromyalgia in check. 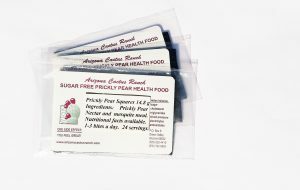 Our customers also use the Prickly Pear products for cholesterol control. 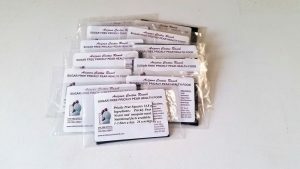 My husband has been using your product since I discovered it at Old Yuma at a craft show and it really helps! We have told our friends about it and have several of them using it also. Thanks for helping keep us healthy. As a nurse practitioner, I personally recommend your products to my patients. Their response has been overwhelmingly beneficial. Diabetics, frustrated by consistent elevated plasma blood levels have seen a dramatic decrease in blood sugar levels by 50 to 75 points and have been able to lower their insulin and oral medication dose. Thank you very much for making this unique product. Over the past 4 years I have prescribed this product to hundreds of individual patients, particularly those with medically important disorders involving insulin resistance. Insulin Resistance is a wide-spread problem, presenting as a combination of any of these conditions: obesity, hypertension, hyperlipidemia, and adult onset type II diabetes. I have been practicing physician for 30 years and a clinical Herbalist for over 25 years. One of the critical issues for an Herbalist is the integrity and quality control standards used by companies producing products from their crude natural state. 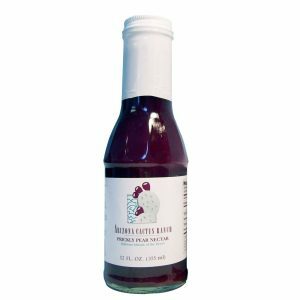 Arizona Cactus Ranch has provided a consistently high quality product year to year. 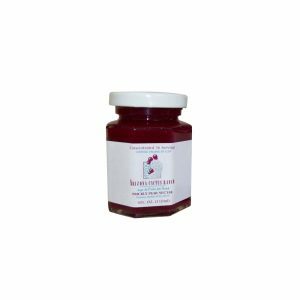 Hello and thank you for your wonderful product, “Prickly Pear Jam”. By taking this product I feel terrific. I start my day out with ½ tsp. of jam for energy. At lunch I take another ½ tsp. so I will continue to have my afternoon energy. Thanks again. Since I started taking Prickly Pear Nectar my cholesterol reading are down 29 points. I am so happy. Thank you so much. I have had high cholesterol for a couple of years and taken expensive medication with not much change. After one bottle I went from 229 down to 199! I am pleased.